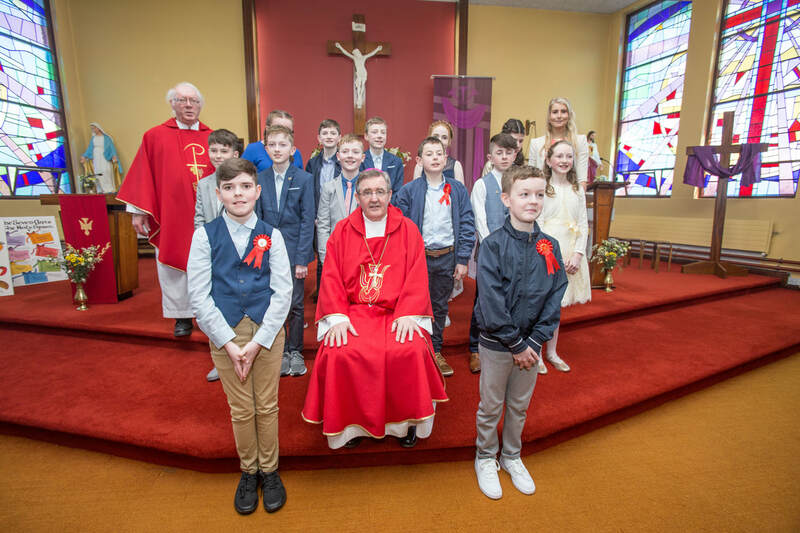 6th class boys and girls received the Sacrament of Confirmation from Bishop Crean recently in Rylane Church. I warmly welcome you and thank you for your interest in Coachford National School. I hope this information leaflet gives you a flavour of what makes us special. Our children’s well-being and development is at the heart of all that we do at Coachford NS. As we are a relatively small school, the staff is able to build close working relationships with the children and their parents. We understand that each child is different and has unique skills, talents and interests. We take the time to understand each child’s character and we aim to work with every child as an individual, helping them to understand and achieve their full potential. Coachford NS is a very happy place where our children can develop lasting friendships, confidence and a positive attitude towards education. We realise that beginning school is a huge step in a child’s life and we will ensure that your child settles in easily. We encourage our pupils to be responsible capable and caring individuals who respect themselves and others. As a staff we work closely with parents in supporting the learning and development of their children. We also welcome parent volunteers to the school who share their expertise with the children in a variety of activities. Our school is a living and changing community and so the best ways to learn about it is to visit us. If you wish please arrange a visit by contacting the school office. I would be delighted to personally meet you and to show you our school so that you can see the quality of provision we offer.